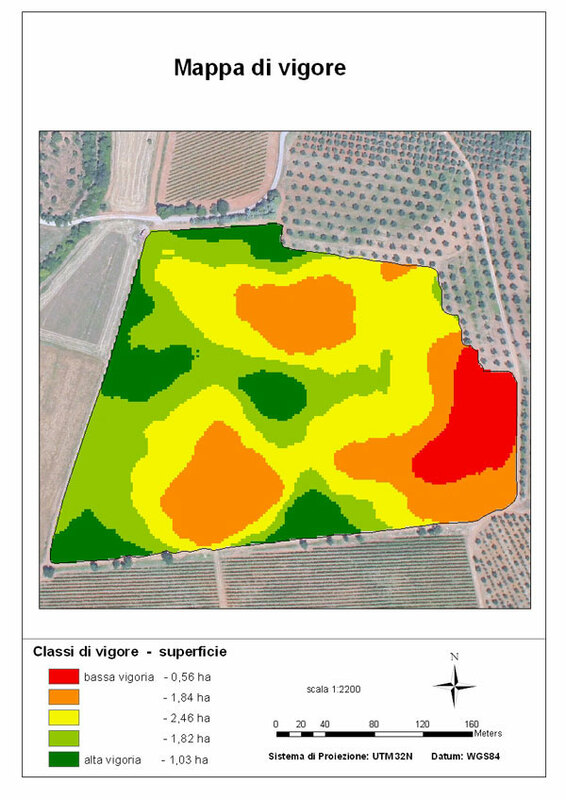 To observe the site-specific differentiation of the vineyards it is necessary to create maps of vegetative vigor that are georeferenced, that way precise spatial coordinates can be known. These maps can be generated by remote sensing with multi-spectral cameras supported by different type of means, especially by plane. The generation of maps of vigor in different classes with recovery, orthorectification and georeferencing is a very expensive operation until a few years ago, but not anymore: with a few tens of euro per hectare the company can acquire the maps ready for use . The team of AgriPrecisone.it is also composed of an airline company with extensive experience in the sector, as well as those who can use other tools that can be evaluated from time to time in relation to the size of the vineyards (from remote sensing on the ground to the satellite).